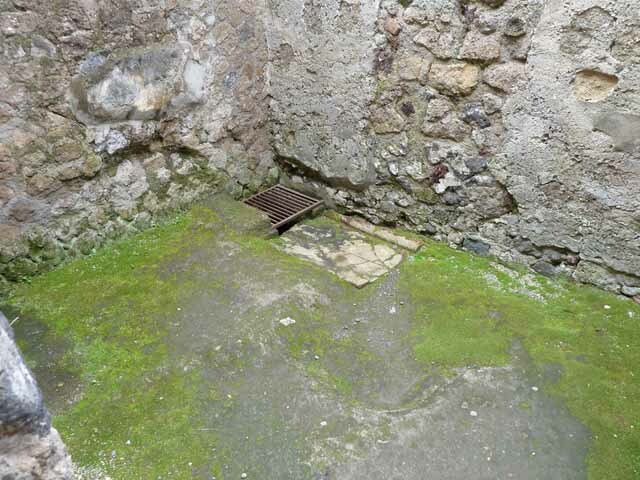 Herculaneum III.3. Casa dello Scheletro or House of the Skeleton. 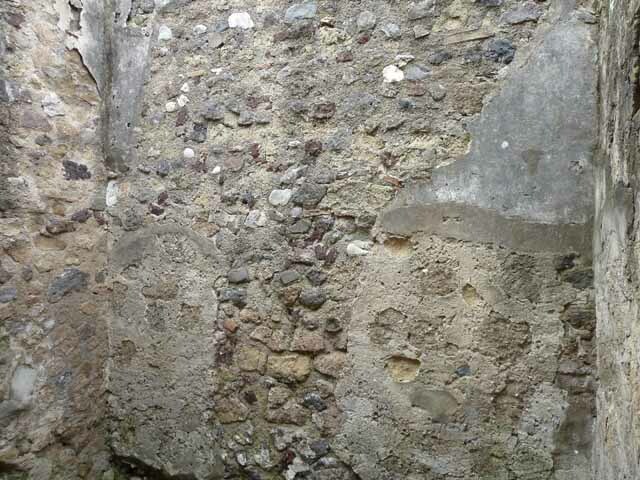 According to Pagano & Prisciandaro, part of this house was tunnelled through in 1740-41. See Pagano, M. and Prisciandaro, R., 2006. 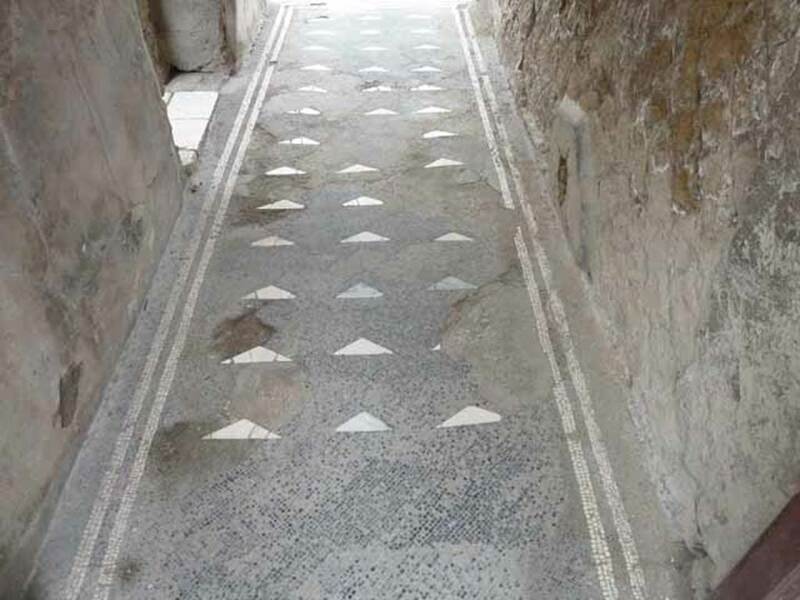 Studio sulle provenienze degli oggetti rinvenuti negli scavi borbonici del regno di Napoli. Naples: Nicola Longobardi, (p.186-7). This house was named after the finding of a skeleton in one of the rooms on the upper floor during the 1831 excavations. 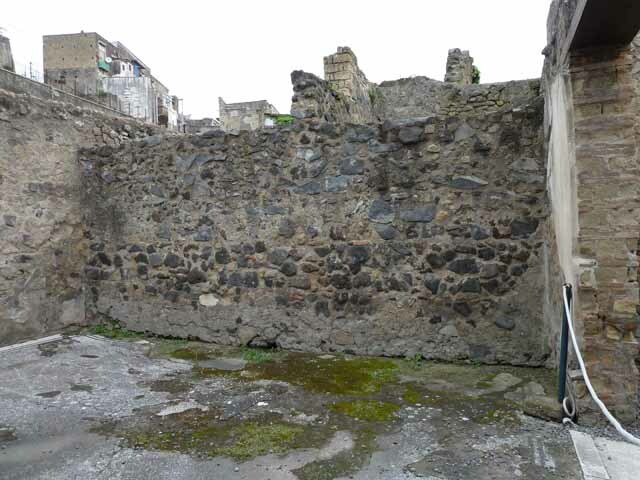 Notable remains of the upper storey were found in the 1830-31 excavations, but they were inadequately protected and are now almost entirely in ruins. 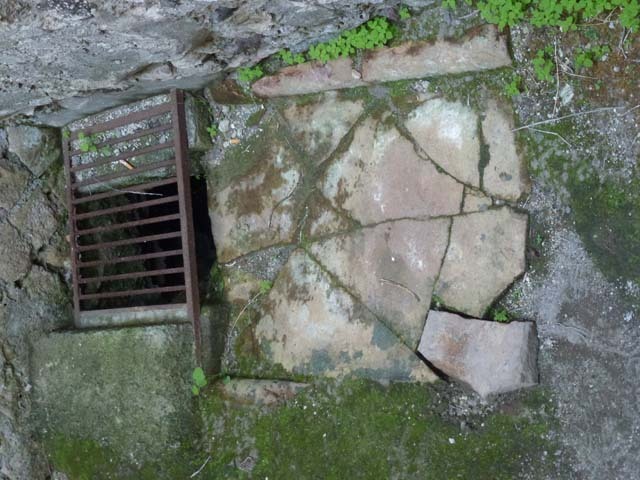 It was only partly excavated between 1830-31, and then finally the work was completed in 1927-28. See Maiuri, Amedeo, (1977). 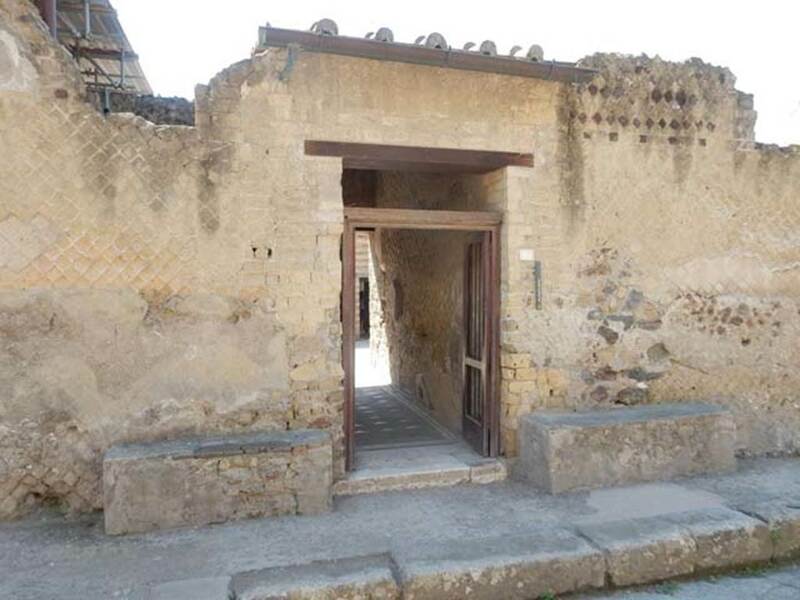 Herculaneum. 7th English ed, of Guide books to the Museums Galleries and Monuments of Italy, No.53 (p.25 and 34). III.03 Herculaneum, June 2005. Looking east towards south end of facade. III.03 Herculaneum, June 2005. Detail of front facade at south end. 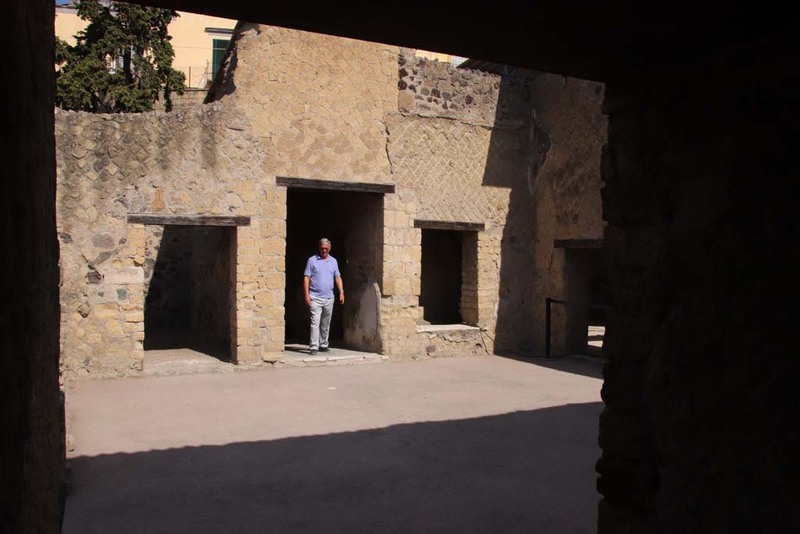 III.3 Herculaneum. May 2010. Entrance doorway, looking east on Cardo III Inferiore. III.3 Herculaneum, April 2005. Looking east through entrance doorway. Photo courtesy of Michael Binns. III.3 Herculaneum. August 2013. Threshold to entrance doorway. Photo courtesy of Buzz Ferebee. 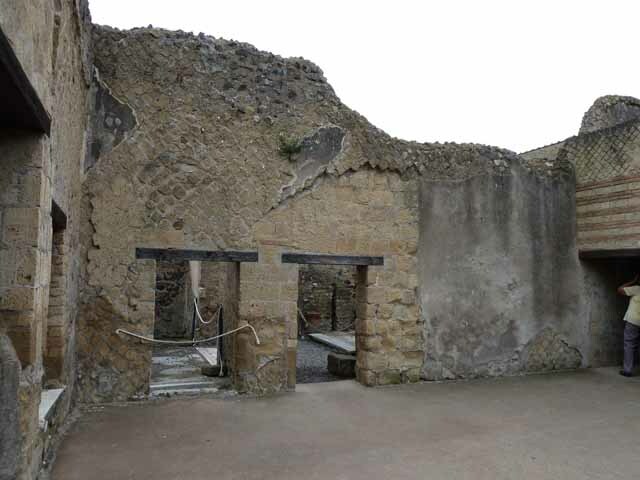 III.3 Herculaneum. June 2011. 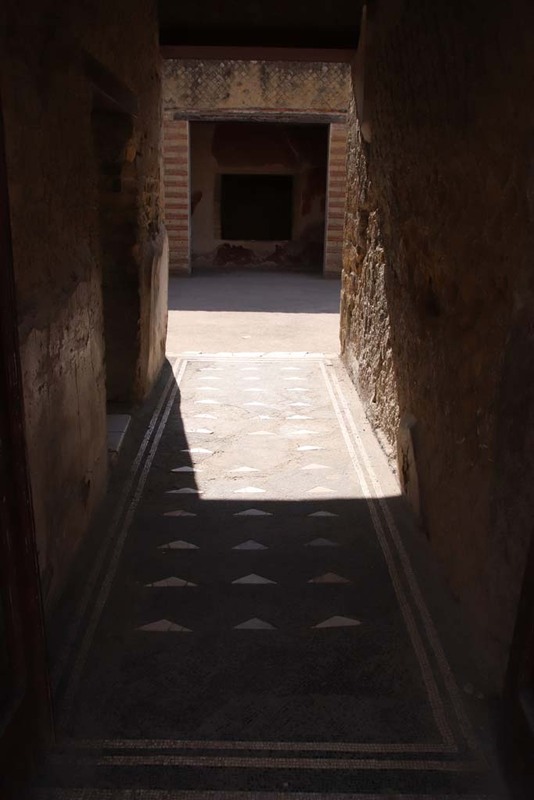 Looking east along mosaic floor in entrance corridor. 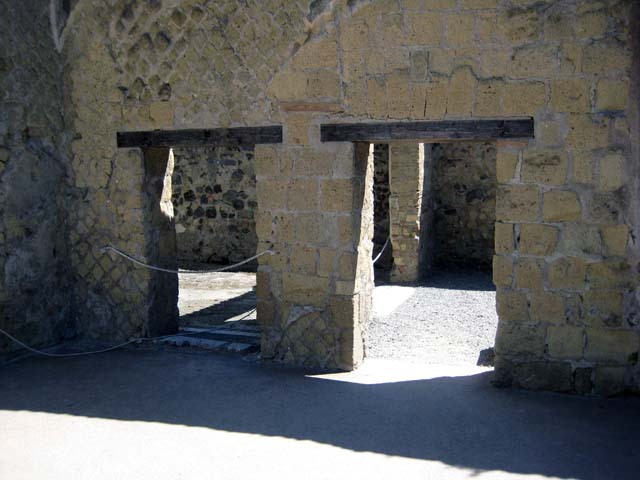 III.3 Herculaneum. May 2010. 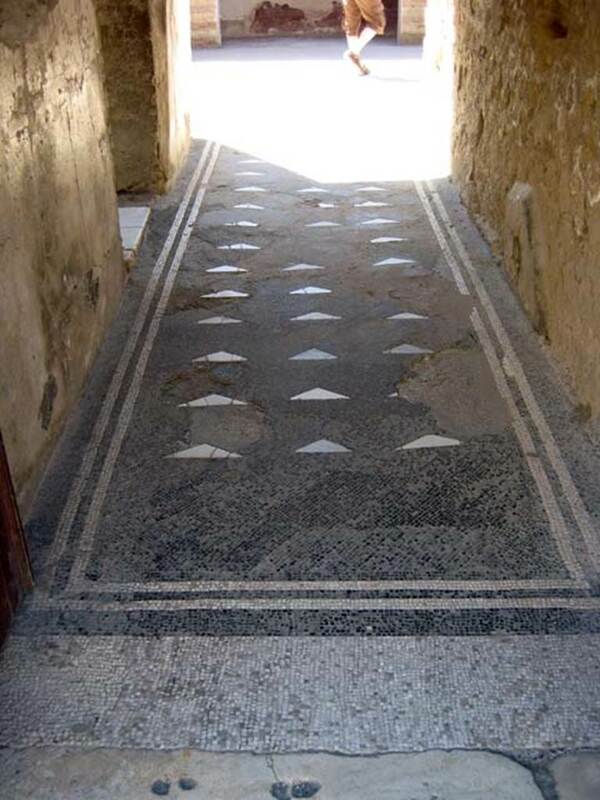 Black mosaic floor of entrance corridor, with triangular pieces of inset marble. III.3 Herculaneum, May 2001. Looking east from entrance corridor towards atrium. The doorway to the room on north side of corridor, is on the left. 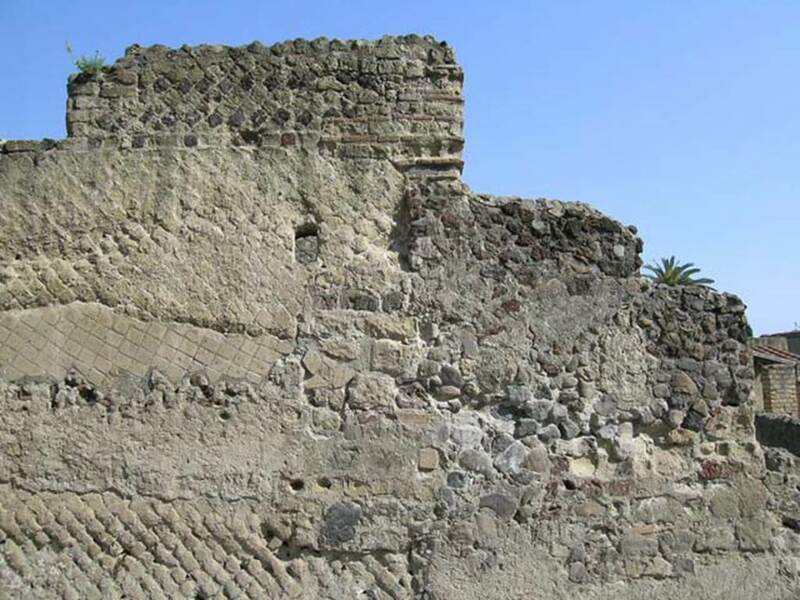 III.3 Herculaneum. May 2010. Room on north side of entrance corridor. Looking towards north-west corner of room on north side of entrance corridor. III.3 Herculaneum, October 2012. 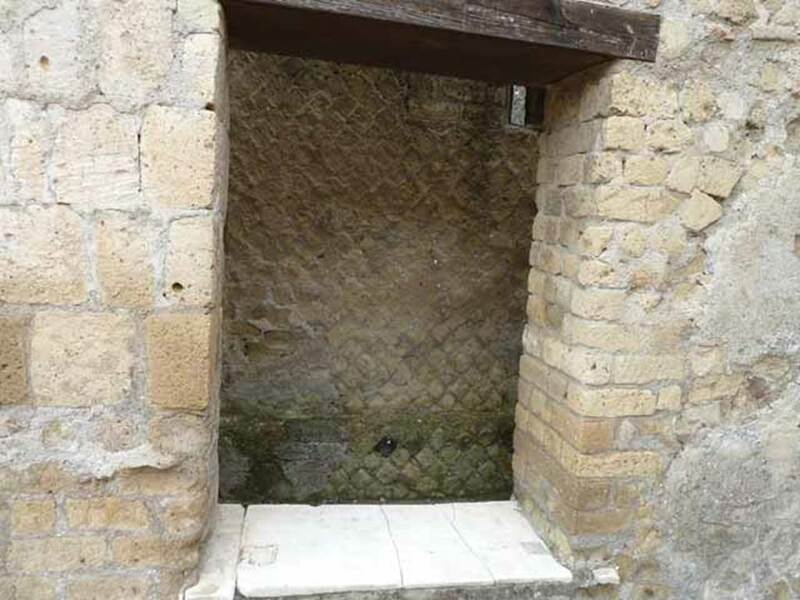 Latrine in north-west corner of room on north side of entrance corridor. 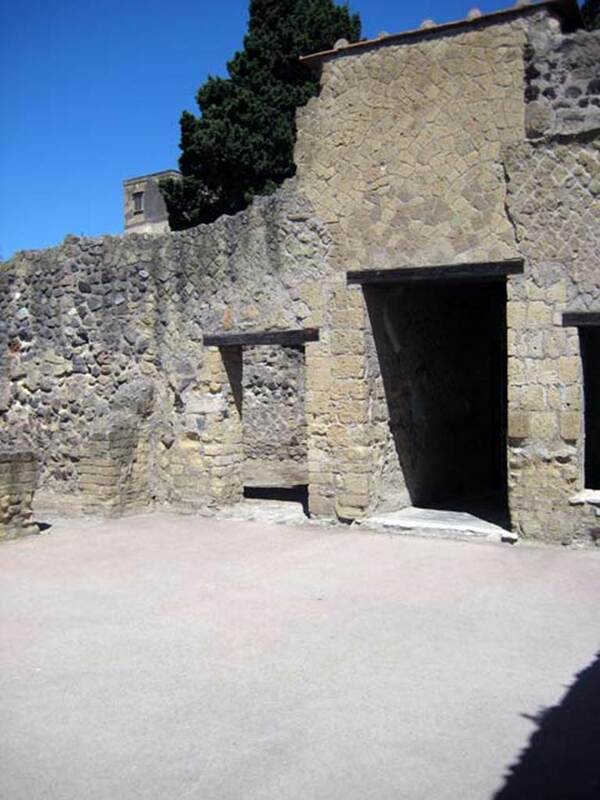 III.3 Herculaneum. May 2010. North wall of room on north side of entrance corridor. 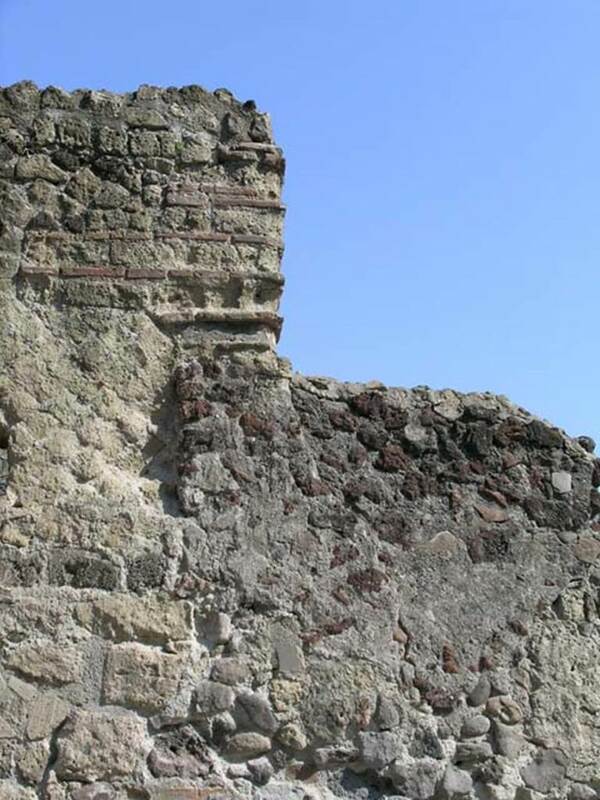 III.3 Herculaneum. May 2010. Looking east across atrium, without a central impluvium, from entrance corridor. 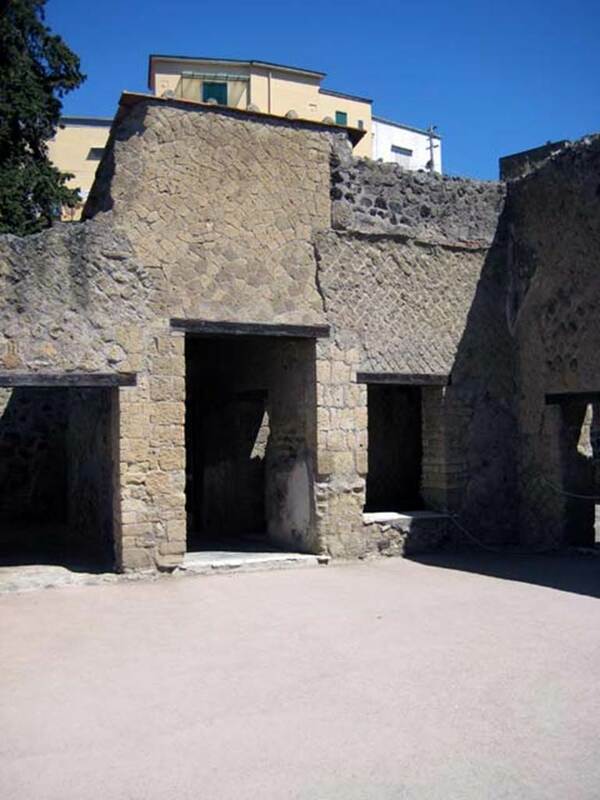 III.3 Herculaneum. June 2011. Looking towards south-west corner of atrium. 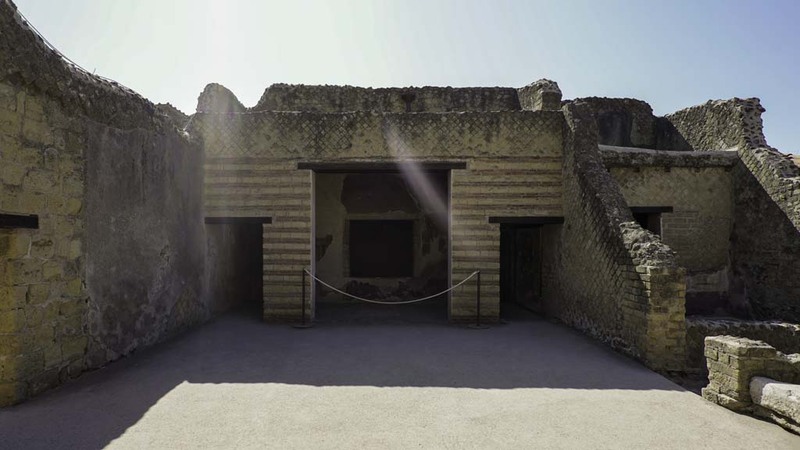 Doorway to a cubiculum, on left, doorway to a living room, centre left, and doorway leading to entrance corridor, on right. III.3 Herculaneum. June 2011. Looking west across atrium towards doorway to entrance corridor, in centre. 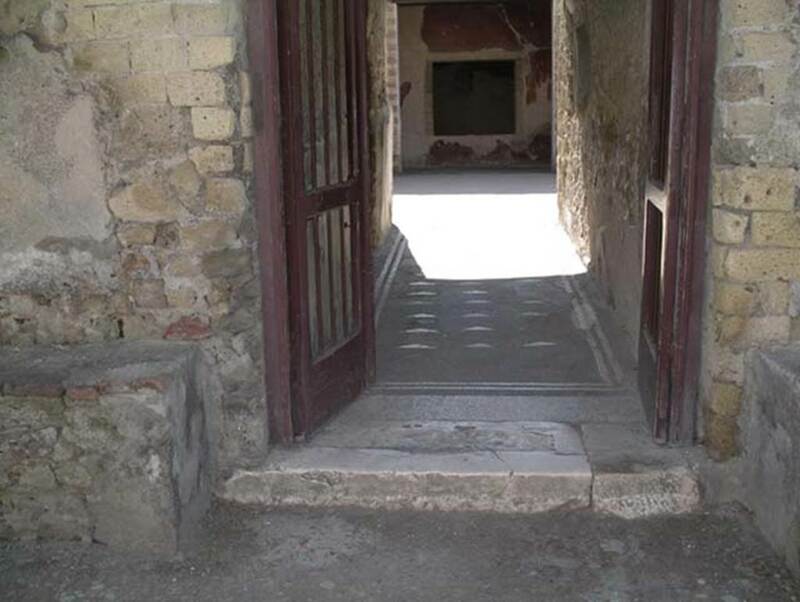 III.3 Herculaneum. May 2010. Window into small enclosed room in north-west corner of atrium. III.3 Herculaneum. June 2011. Looking towards north wall of atrium. 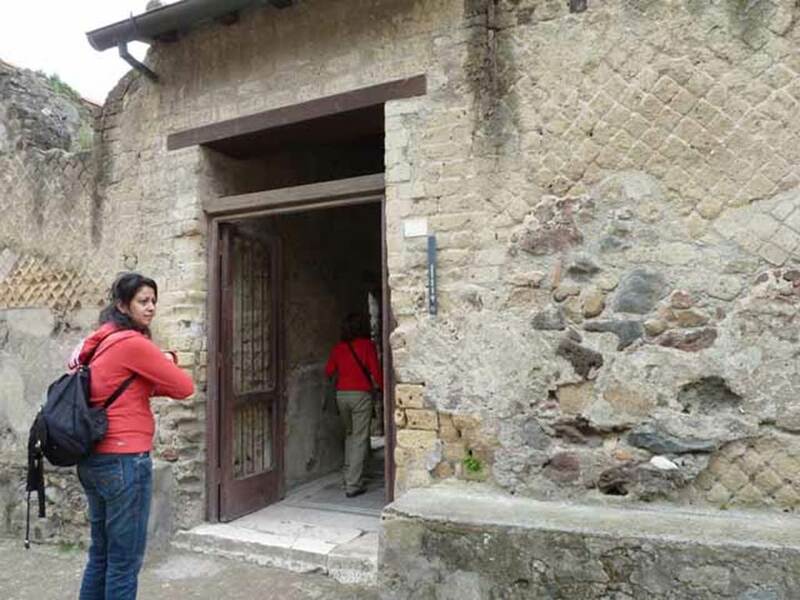 Doorway to triclinium, on left, and doorway to small corridor, on right. Photo courtesy of Sera Baker. III.3 Herculaneum. May 2010. Looking north across atrium. III.3 Herculaneum. May 2010. 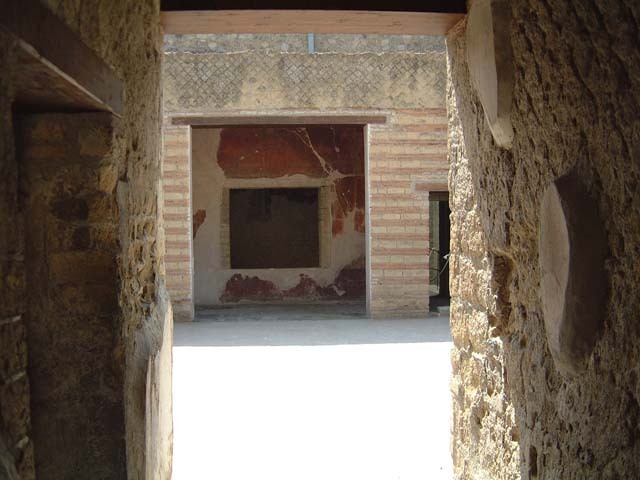 Looking towards west side of triclinium with two doorways, from atrium doorway. 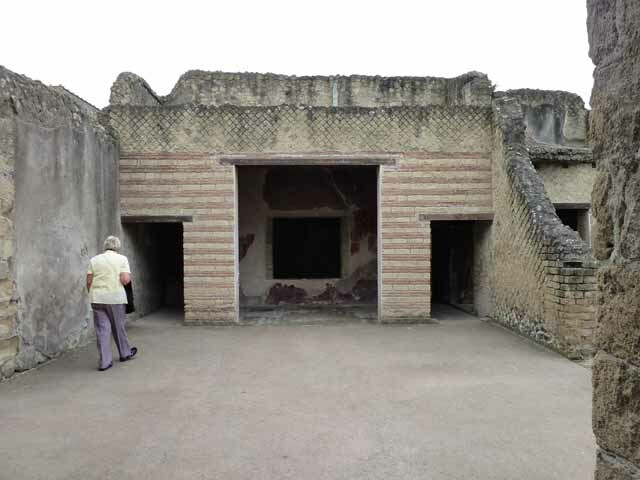 III.3 Herculaneum. May 2010. 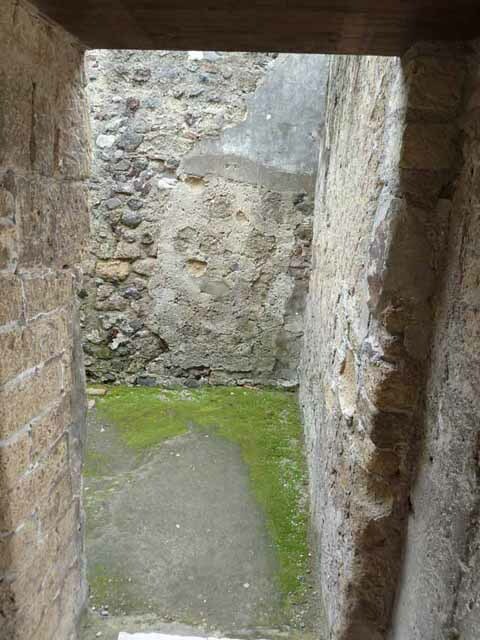 Looking towards east wall with second doorway into a small corridor. 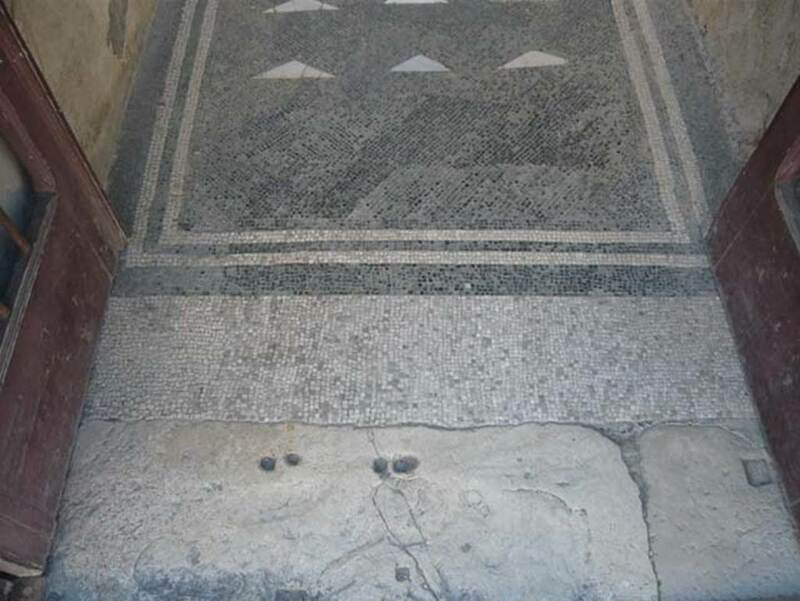 White mosaic floor with black border in triclinium in north-west corner, and door threshold to east.